2017 is well under way and for many of us the hopeful New Year resolutions are already ancient history! But it is still early enough in the year to decide to make significant changes during 2017. If you have always dreamed of starting your own business, then why not make 2017 the year that you make it happen! Running your own business could be the perfect next stage of your life. If you are successful then you will take control of your working life and be able to determine your work/life balance. How wonderful it would be to be your own boss for a change! If you would like to run your own business but don’t really know how to get started then here is our five stage plan for giving it a go! However brilliant your business idea is, you need to be able to explain it clearly to others in order for it to stand a chance of success. You have to know what your core business is and be able to convince others that it is feasible. Take time to sit down and come up with three main points that summarise what your business does. Use these points whenever you are asked to describe your business. A key thing that so many new businesses neglect to do is to check out the competition! No matter how good your business idea is, you are going to struggle if there are already lots of people out there doing something similar. You need to know who is doing what so that you can see what you are up against, and be realistic about whether there is still a gap in the market for you. If that gap does exist then what is your USP? What is is about you that either stands out from your competitors or has a unique offering for a particular segment of the market. Building on your research of the competition you also need to test the market. You may think you have your USP all sorted but you need to be sure. It is only by truly understanding your market that you will be able to get your product or service out there and start making your business profitable. Effective market research will provide you with valuable data about whether people would buy your product or service, and how much they would be willing to pay. Possible methods of market research are friends and family, polls on social media or some kind of focus group. Or if you are selling a product, you could try a pop-up stall in a shopping area or public event, such as, a festival. It is important then to use the market research you have done to adapt your product or service as needed, to give it the best chance of success. It is a well-known fact that access to finance for start-up business is a challenge. Unless you have savings or family investment you will need to look externally for funding. There are now alternatives to the big banks for this. At Fair Business Loans, we are delighted to see the growing success of the government’s Start-up Loans scheme, an initiative which provides small business loans and mentoring support to entrepreneurs. So far its average small business loan offering is £5,286 for new businesses. Our recent blog Start Up Loans explains the Start-up Loan scheme in more detail. It is also important right from the start to keep track of your business finances so that you know how much money is coming in and going out, and that you are able to forecast how the business is likely to fare financially over the next few months. Have these figures at your fingertips at all times: to keep you motivated just think of some of the excruciatingly awful moments in Dragon's Den when it is clear that entrepreneurs haven’t a clue about either how their business has done or where it is headed! 5. Make sure you are legal! Last but not least, make sure you are operating on the right side of the law! Many start up businesses are not surprisingly totally unaware of the legal implications for your business. 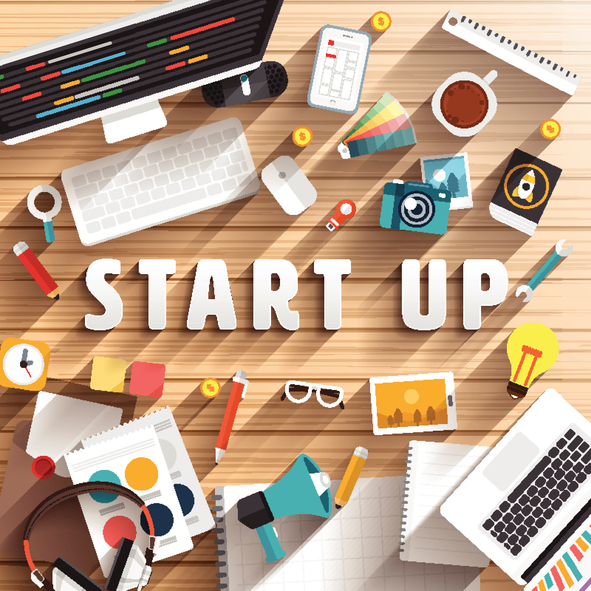 For starters, you can start up a business either as a sole trader or a limited company, and it is important to explore both options in order to decide which is best for you and your business. You also need to understand areas, such as, business taxation and insurance. It is well worth seeking advice from organisations, such as, the Business Support Helpline or the Citizens Advice Bureau. So, if 2017 is indeed the year when you finally launch your business, then following the above steps will get you off to the best possible start! All of us at Fair Business Loans wish you well in your new venture: and keep checking this blog for invaluable advice for small businesses!